Do you have some ideas for your holiday? If no, an ideal holiday in the North and the South of Vietnam is such a great choice for yours. You will be back to the old time with historical highlights in Hanoi and how exciting it is when enjoying cyclo around the Hanoi Capital City. It is really cool that you can spend your valuable time on cruise in Ha Long Bay to contemplate the splendid landscapes. To experience lively lifestyles, Ho Chi Minh is such a good destination for your trip. Everything will be wonderful if you pay your energy to discover Vietnamese war in Cu Chi tunnels system. And the unique atmosphere around Mekong River where you relax on boat to float to, will not make you disappointed. Let’s go to Vietnam! 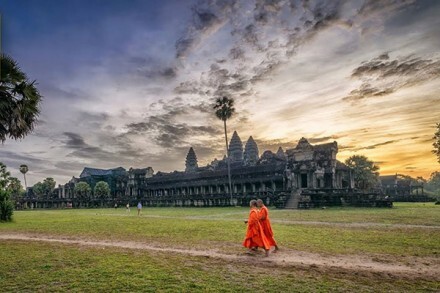 This 7-day package tour will offer you the sightseeing the best highlight of Vietnam and Cambodia. Specifically, you will discover the symbols of the biggest and busiest city of Ho Chi Minh. You also learn more about our Vietnam war by discovering the most complicated tunnels system in Cu Chi to know how we flight the invader. 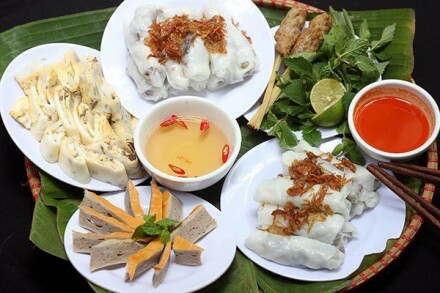 Adidtionally, a quick sightseeing to Mekong delta to enjoy the local atmosphere and know more about heir culture will be a highlight of this package. Coming to Cambodia, it offers you the visiting to Angkor complex, which cannot be missed while travelling to this small country. Essential south package 6 days will be really wonderful when you discover the most bustling city in Vietnam. Visit Cu Chi tunnels – the historical place as well as some famous temple in the South. 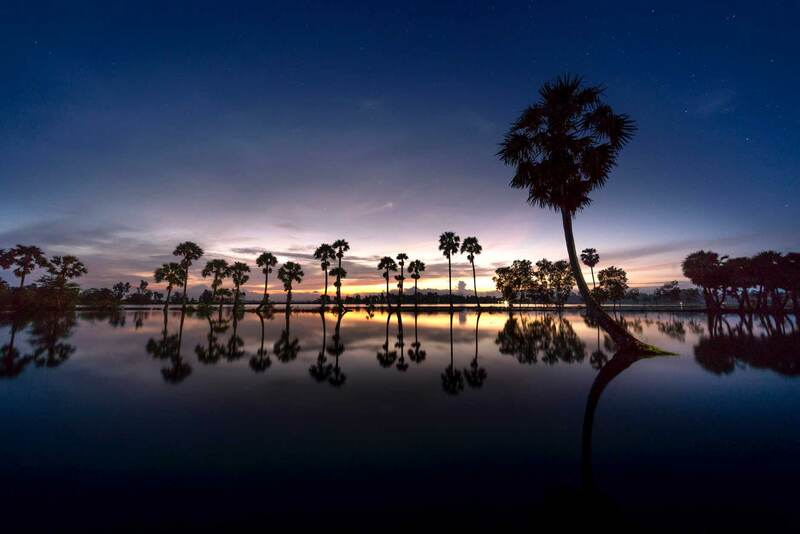 Move to the Mekong Delta to see amazing tributaries hidden among vibrant tropical fruit gardens, bustling floating markets that offer a cornucopia of items, and acres of emerald rice fields. It is possible to discover Vietnam from the past until now if you enjoy our Essence of Vietnam tour for 2 weeks right now. 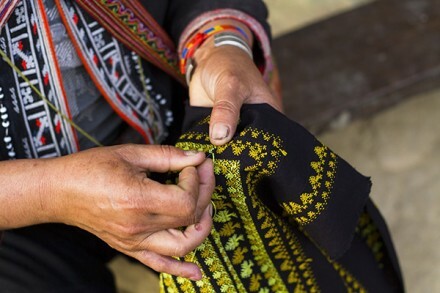 Going to Hanoi, Sapa, Hue, Ho Chi Minh city,… will make you love not only the beautiful landscapes but also different local lifestyles. 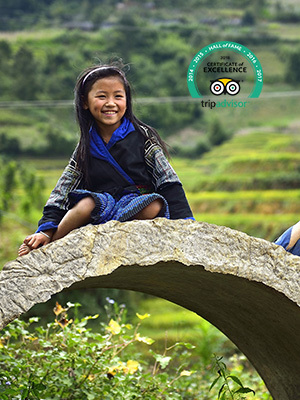 In addition, you also experience a lot of special activities of each destination from the North to the South, such as: hiking in Sapa, relaxing with cruise in Ha Long Bay, farming in Tra Que and local foods of whole Vietnam. When being at Cu Chi tunnels system, you can learn more about the attracted stories of Vietnamese war. And visiting some kind of cultural markets, it is very awesome that you spend time to fall in line with. So exciting, right? Why don’t you wonder to enjoy it? 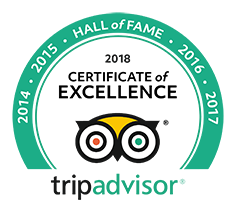 This private tour brings you to the impressive destinations with unforgettable experiences. Arrive in Ho Chi Minh City (Saigon) – the largest city of Vietnam. Coming here, you will lose your way in the ghostly battle map of the Cu Chi Tunnels then know more knowledge about Vietnamese histories. Moving to Dalat, you will get the peaceful atmosphere – and feel the wind chimes gently singing in the background and incense wafting from every direction. You also can see flowers everywhere: Roadside wildflowers, flower porch, flower or the gates covered with climbing flowers… And, that sometimes the rains suddenly fall will make you surprise to surprise. Finish in Cai Rang colorful floating market, where has the system of numerous canals and a wide range of fruits and vegetables and the sweet singing of the girls on the Southwest waterfront. 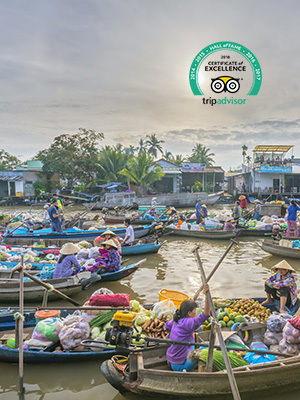 Besides visiting and learning about the most overwhelming highlights of historical sites around Ho Chi Minh – the city named after a national Hero, this 5-day tour will bring you to a beautifully wild area with a density of small rivers, tunnels … it is such an amazing chance that you enjoy bustling atmosphere of floating market with thousands of boats carrying different types of local products. Especially, the daily life of floating families will be presented lively in your eyes, which shows you a distinctively stunning picture of Vietnam life. The last interesting thing which will significantly impress you is to enjoy a dinner with local people and listen to their dialy-life stories. 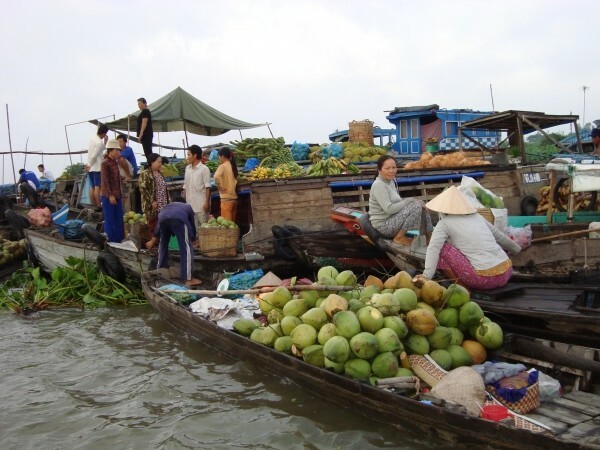 This two days trip, just give you a glancing for the local life of Mekong Delta. 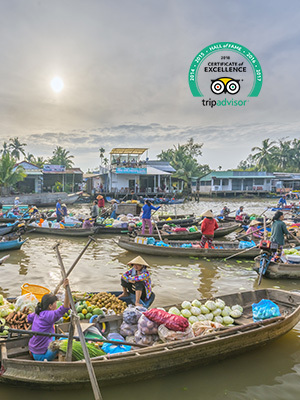 It is not enough time to see much , because life in the Mekong Delta revolves much around the river, and many of the villages are often accessible by rivers and canals rather than by road. Learn, relax & enjoy to touching on the local life! 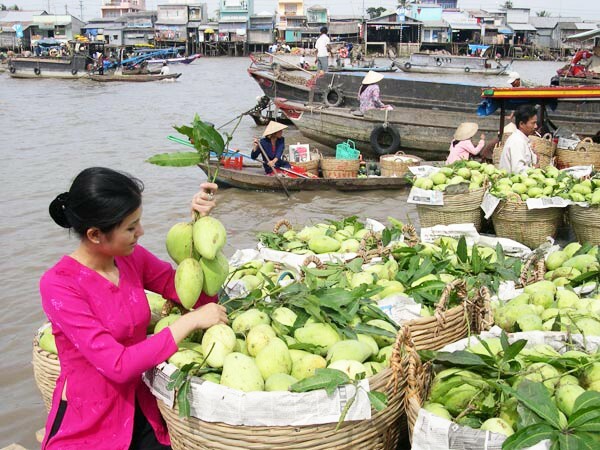 This three days trip, just give you a glancing for the local life of Mekong Delta. 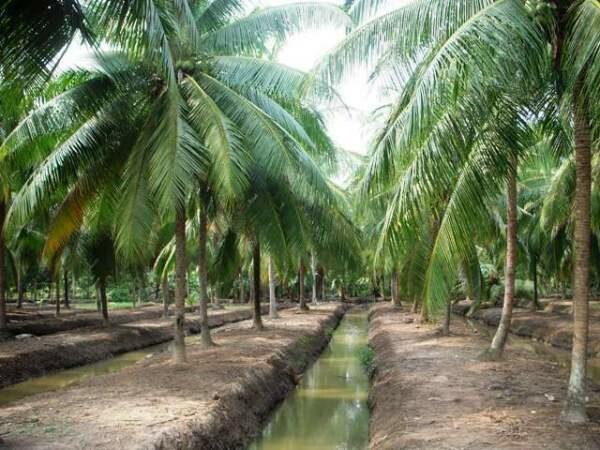 It is not enough time to see much , because life in the Mekong Delta revolves much around the river, and many of the villages are often accessible by rivers and canals rather than by road. 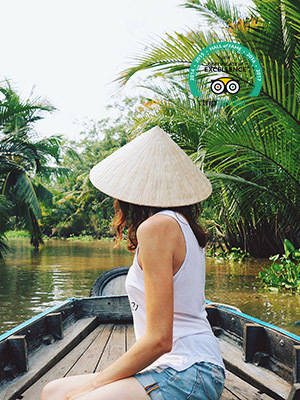 Learn, relax & enjoy to touching on the Mekong Delta Experience! 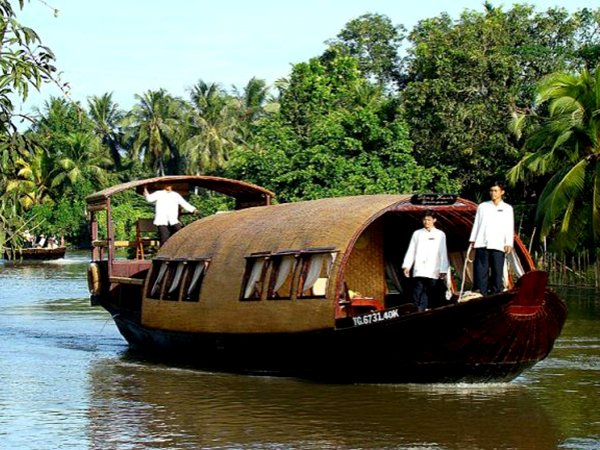 Launched on late October 2007, a flotilla of 4 unique, authentic and charming Sampans named "Song Xanh Cruise" was designed for travelers looking for "private" cruise experiences in the Mekong Delta. Each sampan will carry a charming rowing boat ("Xuong"), nicely designed for deeper cruises along small canals and arroyos during the itinerary. Bicycles can also be taken on board (fixed on a rack a the back) for exciting "out of the track" countryside rides. Designed for individuals looking for authentic "Private Cruise" experience, with overnight on board. Sister ship to The Jahan, The Jayavarman is a boutique cruise vessel with 27 staterooms that has been operating since 2009. 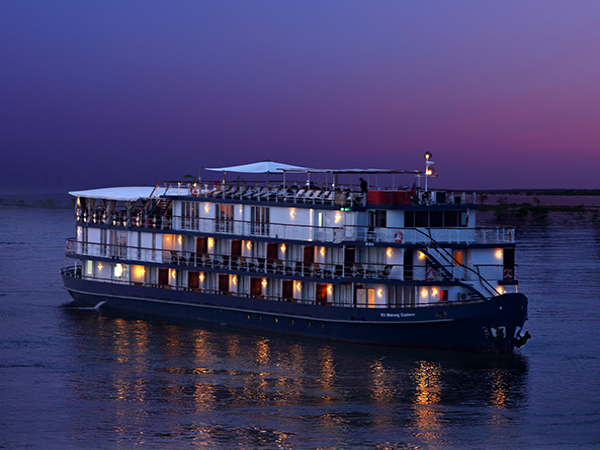 One of the first of the new breed of river cruises, it offers passengers a luxurious experience. The Jayavarman is a 20th century boutique style cruise liner that is French colonial in design and feel, making it a perfect vessel for a Mekong Delta cruise. Spread over four decks and 800m2 of public space it offers uncompromising luxury and elegance with modern amenities such as an on-board spa, restaurant, bar and sun deck. 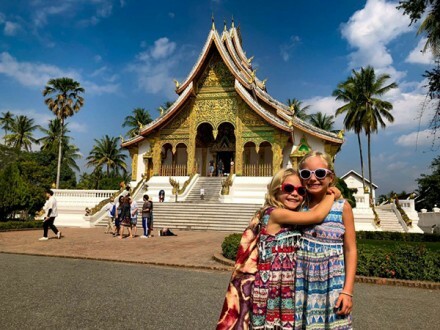 Cruising on The Jayavarman is a deluxe experience. Cabins are also spacious and bright, with attached bathrooms and floor to ceiling sliding doors that open onto a full-size balcony. + Join us in trip planning to discover Indochina in your own way. 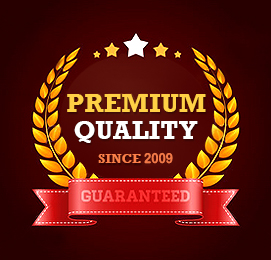 + 98% our clients satisfy with our service! We will get back to you within 24 hours. Thank you very much!